Jennifer Aniston is “fed up” with public scrutiny. 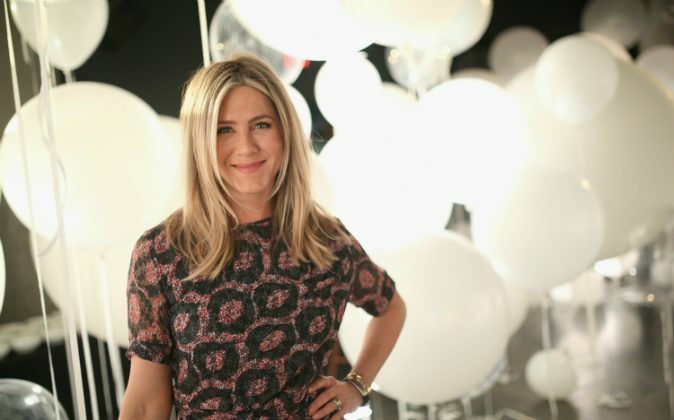 In a candid essay titled, “For the Record” for the Huffington Post published on July 12, Aniston addressed motherhood and the body shaming with the portrayal of women in Hollywood. “For the record, I am not pregnant. What I am is fed up. I’m fed up with the sport-like scrutiny and body shaming that occurs daily under the guise of ‘journalism,’ the ‘First Amendment’ and ‘celebrity news,'” wrote Aniston. Pictures of Aniston in a bikini while vacationing with husband, Justin Theroux, in June circulated the web, drawing speculation that the 47-year-old actress was expecting. “This past month in particular has illuminated for me how much we define a woman’s value based on her marital and maternal status. The sheer amount of resources being spent right now by press trying to simply uncover whether or not I am pregnant (for the bajillionth time… but who’s counting) points to the perpetuation of this notion that women are somehow incomplete, unsuccessful, or unhappy if they’re not married with children,” she wrote. Aniston lambasted the constant dehumanization of women and the negative message it sends to impressionable girls who are made to think beauty lies solely in physical appearance. She called for women—including those in the entertainment industry—to define their own ideas of beauty and fulfillment and not from societal’s unattainable standards. Aniston has an ally in actress Melissa McCarthy. McCarthy, who has faced her own public shaming over her body, is in agreement with Aniston and implores for the break down of women to stop.